With the end of summer fast approaching we finally made it to an open-air performance, and I managed to visit an exhibition I’ve been meaning to see at the Met for months, just days before it closed. We spent the Labor Day weekend visiting a friend in Chicago, and the 9/11 anniversary weekend singing two different requiems at St Bart’s. Over the last couple of summers we’ve become big fans of the Bryant Park Shakespeare program, and we’ve seen two or three different companies performing. This time, we watched the Drilling Company’s production of Measure for Measure. I don’t think I’ve seen this one performed before, and whilst in some ways it’s quite challenging (and the ending is FAR too neat, even for the Bard himself), they did a great job at making it relatable in a modern setting. I loved that it was set in “Viennaville” Louisiana, and the Shakespearean language sounded wonderful in a southern accent. 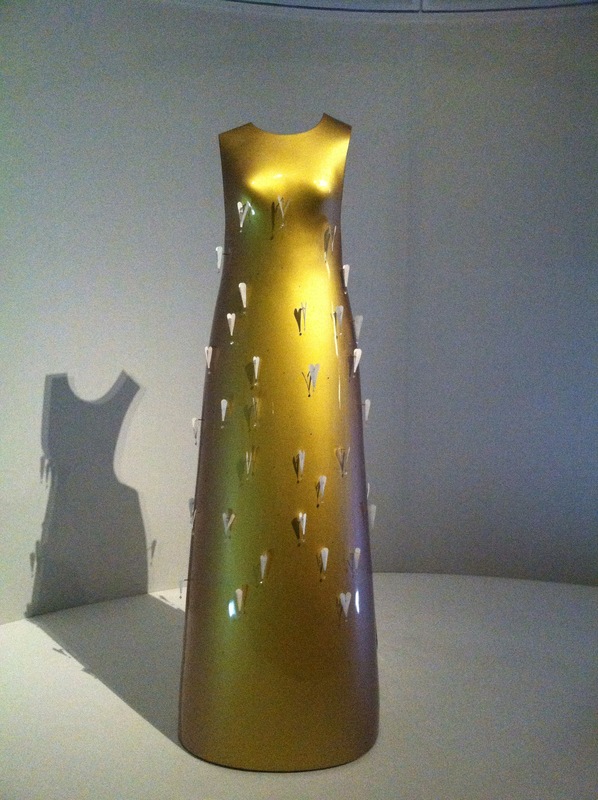 The Met’s Manus et Machina exhibition opened in May, and was hailed as one of the summer’s “must-see” shows. Taking Denis Diderot and Jean le Rond d’Alembert’s 1751-52 publication, Encyclopedia, or Systematic Dictionary of the Sciences, Arts and Crafts as its jumping-off point, its focus was the influence of technology on couture. The Met’s Costume Institute always puts on spectacular shows, and this was no exception. 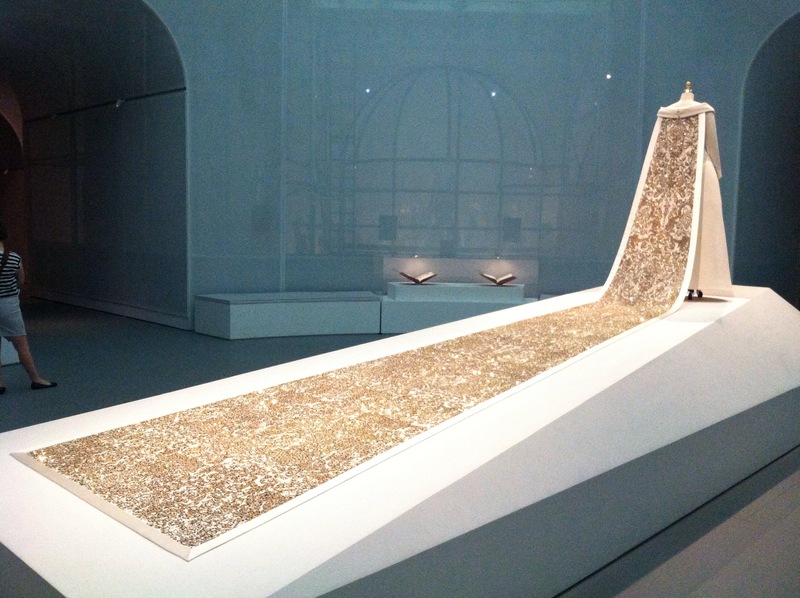 Their use of the circular space in the museum’s Robert Lehman wing allowed the show to pivot around a spectacular Lagerfeld/Chanel wedding dress with a 20-foot train, and each item was accompanied by a short note about the production technique. It seems that in most cases designers combine a mix of hand and machine techniques, depending on the effects they wish to achieve, but there were a few genuinely techy creations including a lovely fibreglass gown which was operated by remote control, and some completely sci-fi-looking laser-shaped polymer numbers. 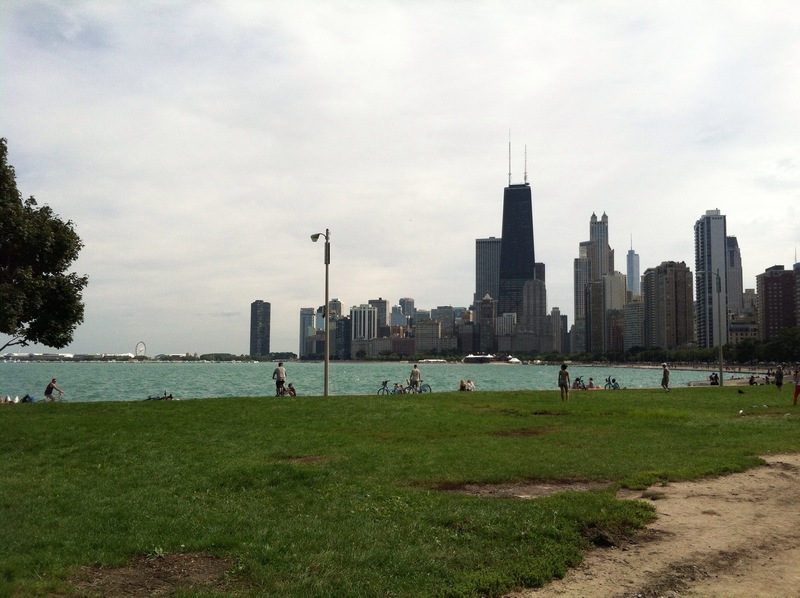 We had a short trip to Chicago back in 2014 and I liked what I saw, so it was very nice to go back and spend a little more time there. Staying with a friend also made for a different kind of experience, and we had a lovely weekend. One day was dedicated to getting out and about – we started with an excellent brunch at the gluten free cafe Wheat’s End. Suitably fortified, we caught a bus to the lakeshore for a wander around Lincoln Park, before strolling along the lakeside path to the city centre. It was a hot afternoon, so a wine bar on the riverwalk provided some much-needed refreshment (along with views of people messing around in boats and kayaks), before we headed on to the Pritzker Pavilion to eat our picnic and catch some of the jazz festival. The next day was much more relaxing, with brunch at home followed by the afternoon in a beer garden, and dinner in a lively taqueria – for once we had a “proper” bank holiday day! The following weekend could hardly have been more different. With the 15th anniversary of the 9/11 attacks falling on Sunday, this was a significant time of commemoration, as part of which we performed most of Durufle’s requiem during the 11am service at St Bart’s. Much as we love our 9am service choir we always enjoy the opportunity to perform with the combined choirs, and this was an extraordinary occasion. We had also been invited to sing with a visiting group, the Really Big Chorus, who were presenting a concert performance of Faure’s requiem the same evening. The RBC were great fun – they specialise in “from scratch” concerts, (where large groups of singers get together and put together a concert in a weekend), regularly performing in the Royal Albert Hall and other large venues. Their New York trip comprised around 90 singers, mainly from England, with conductor Brian Kay (of King’s Singers and Frog Song fame), and we were among a few St Bart’s musicians who took part. It was all quite exhausting, but I’m so glad we were there. 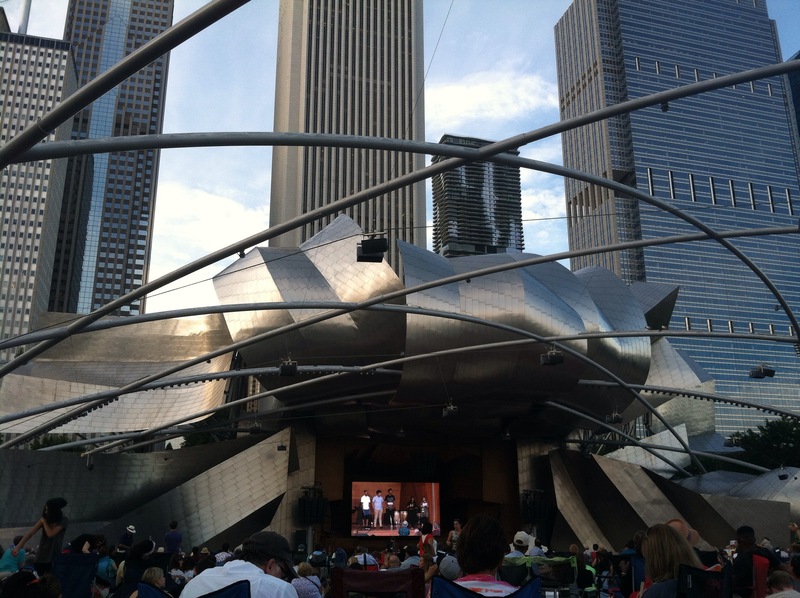 This entry was posted in Living, Uncategorized and tagged Bryant Park, Chicago, Metropolitan Museum of Art, Shakespeare, singing, St Bart's by Emma Davidson. Bookmark the permalink.